Were Ehiogie West Idahosa not a familiar name, one would have been tempted to dismiss the graffiti credited to him recently in the media as composed by a stark illiterate at a pepper-soup joint at the popular Agbado market in Benin City. 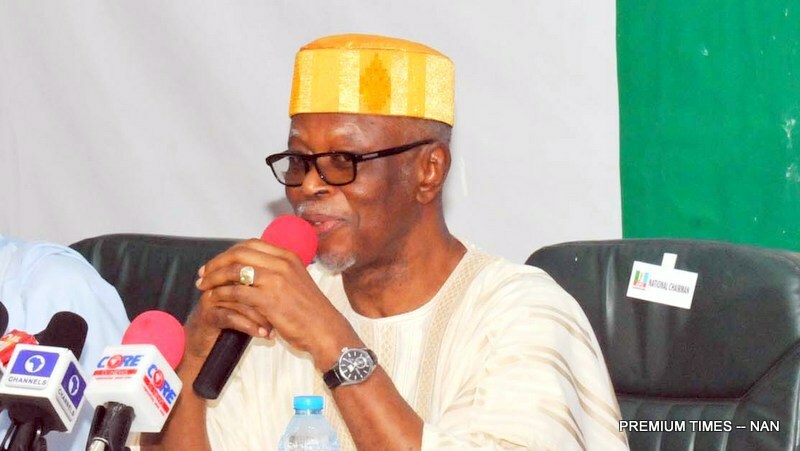 Aside the farrago of illogicalities, seeking to ethnicize the circumstances that forced Chief John Odigie-Oyegun’s fall as APC chair is, to put it mildly, descent to the sewer of crude revisionism. Hardly concealing his incitement of clan hate in the article, the former Reps member accused Adams Oshiomhole of orchestrating Oyegun’s misfortune purely for his own self-aggrandizement in furtherance of what he termed gravely as emerging “Bini humiliation”. Among other fallacies, West-Idahosa argued: “If Buhari is re-contesting for the post of President, what is the crime of Oyegun? 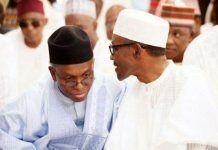 Why should Oyegun not be allowed to do a second tenure? As a conscientious Bini man and one who as Information Commissioner had the privilege of a ringside view of events leading to Oyegun’s coronation as national chair in 2014, this writer does not only feel implicated but also slandered by such false conclusion. As anyone might observe, one has not been shy to be counted among Oyegun’s critics as national chair at some point. One’s censure in previous outings is however based on an objective evaluation of his leadership style which tended to flaunt sterility as substance; the kind that saw a once promising party fossilizing into bitter camps today. True, APC consisted of strange bed fellows at its founding. Oyegun’s own tragic flaw is the incapability to provide exemplary leadership that could, at least, have brought hope by genuinely seeking to weld these disparate forces together. If we must take a step further to briefly join West-Idahosa in his dark alley of ethnic baiting, by what stretch of imagination or stream of conscience could the weakness Oyegun has shown transparently then be cited as helping to validate the age-old characterization – if not romanticization – of the Edo man as always firm and courageous? Contrary to West-Idahosa’s red herring, no one is trying to belittle Oyegun’s accomplishments as a career civil servant. But the man we saw on the APC chair was undoubtedly a weakling, more obsessed with securing the sitting order and preserving privileges while the great Titanic was sinking fast. 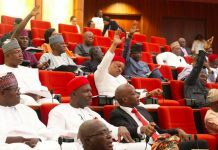 It will then seem a perfect finale to the stated abject dereliction that the only party congress eventually staged under Oyegun’s watch has largely been presenting the nation a theatre of the absurd in the past two weeks. Against this sordid backcloth, I think the issue has been: who can deliver more? Given his indelible footprints at the Nigeria Labour Congress (NLC) and later the White House at Dennis Osadebey Avenue, there is a consensus that Oshiomhole would provide a strong leadership that inspires respect and therefore order. It is perhaps a mere accident of geography that he happens to hail from the same state as Oyegun. If nothing at all, Oshiomhole’s proven talent at engagement would undoubtedly have helped minimize the climate of alienation that has now more or less occluded APC from its heart and soul. His muscular oratory will certainly come handy against the onslaught of a seemingly resurgent PDP. So, for West-Idahosa to dodge the real issues and now seek to excuse Oyegun’s epic failing on the national stage as something conjured by “enemies at home” and then proceed to dress him in the counterfeit toga of Bini champion is very laughable indeed. It would have made more sense if the author had told us how his idol had used his high office to benefit Bini people all the while, other than a tiny cycle of bare-foot praise-singers around him. 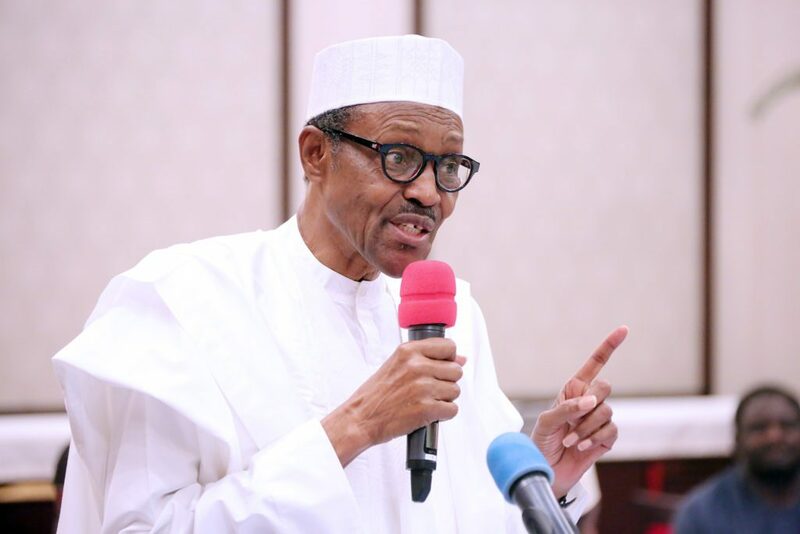 Now, this fact is notorious: it is only in Edo that President Muhammadu Buhari recorded 45 percent vote in the South-South zone in 2015 – a feat undeniably pulled by Oshiomhole then as sitting Edo Governor even when the pervading sentiment in the province and indeed across the Niger Delta was sympathy for PDP’s Goodluck Jonathan as “son of the soil”. The question to ask the emergency champions of Bini/Edo interest like West-Idahosa is: to what extent was Oyegun able to parlay this electoral distinction to ensure commensurate patronage to Edo relative to other states in the zone where PMB got nearly zero vote? Seeking to scape-goat Oshiomhole for Oyegun’s self-inflicted misfortune therefore reeks of intellectual fraud. For, only that could explain why West-Idahosa would accuse Oshiomhole of being anti-Bini but fail to acknowledge the decisive role the same “Oshio Baba” had played in tilting the scale in Oyegun’s favour in 2014 at the party level in Edo even after the state exco had openly endorsed a better-grounded Chief Tom Ikimi from Esanland as preferred candidate for APC national chair. There is another point where the likes of West-Idahosa play the ostrich today. They hardly appear to see any contradiction in praise-singing Godwin Obaseki as “Wake-and-See Governor” on account of perceived remarkable showing and yet crucifying Oshiomhole on whose bare back the former had climbed to power in 2016 despite all the odds. True, Oshiomhole, like all mortals, has his own weaknesses. But the worst lie anyone could tell against him is accusation of ever marginalizing Bini zone (Edo South) as governor or being sectional, clannish or hostage to parochial sentiments. Rather, by words and deeds, he has proved himself to be a man who believes only in results. I bear this testimony as one privileged to serve his government as Information Commissioner at some point. It is public knowledge that his Principal Private Secretary, Olaitan Oyerinde (who was assassinated in 2012), hailed from Osun State. He was replaced by Yakubu (from the north). 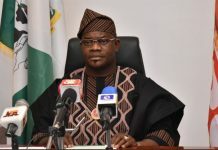 Head of the influential Environmental Task Force later made Permanent Secretary, Ministry of Environment (Major Oloye), hails from Osun State too. His long-serving Police orderly (Obadiah) hails from Plateau State. His personal cook (Danladi) is also from the north. His Chief Security Office (Haruna) hails from Kogi. 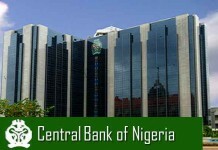 His Chief Detail (Obasi) comes from Ebonyi. By the way, before I resigned as Commissioner in 2015, I recall sighting West Idahosa at numerous APC rallies looking pathetic in over-sized Oshiomhole-style khaki attire also chorusing “Oshio Baba”. (This was after being short-changed out of PDP by the ruthless godfathers in 2011.) So, at what point did West-Idahosa encounter his own epiphany? 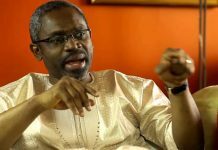 While decamping to APC in 2014, he had pleaded to be given the senatorial ticket. Could the beef have started when Oshiomhole failed to impose him on Edo South in 2015?